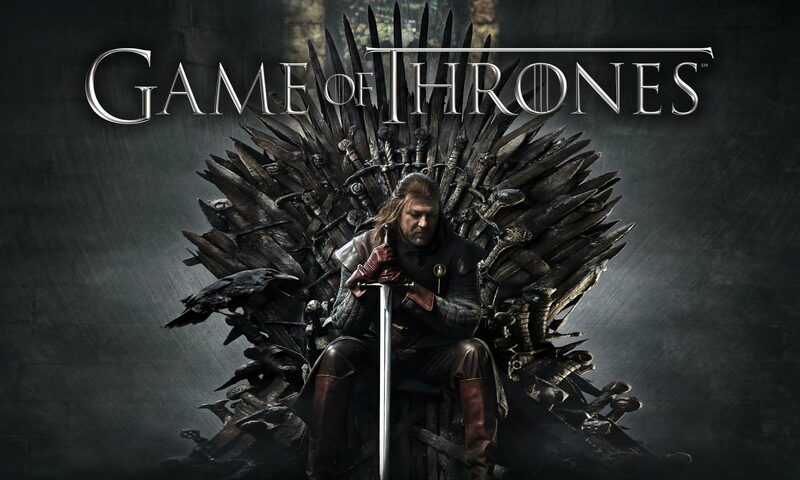 Game of Thrones – read or watch? “Winter is coming”…. a ‘Westeros’ catchphrase that has entered popular culture with a bang. In this world, like ours, we never know when or how the seasons will start or end. The winter of Westeros is a bit like the winter of Richard III- a metaphor for the transition from one era to another – and has been created in the 10,000+ pages of the ‘Fire and Ice’ saga by George RR Martin, as well as in a hugely successful HBO series, ‘Game of Thrones’, broadcast on Sky Atlantic; ending its fourth season on a real cliffhanger, with end credits flowing in the middle of a critical moment, and, as is usual for this series, killing off characters both good and bad. This irritating gimmick aside, I mention the TV programme in a book column because the script slavishly follows the novels, which are indeed written like a screenplay, and in honour of Martin who has done such a brilliant job. I’d recommend you get at least one volume of the series, (the thinnest is more than 800 pages), which you could always recycle as a footrest if you don’t have a chaise longue on which to watch ‘Game of Thrones’ in comfort. The books inevitably include more revelatory detail, (‘spoilers even), whilst the series is more tight-lipped; including the mysterious circumstances of John Snow’s birth, of which Martin certainly knows more than is speculated upon by everyone else. Who is John Snow? Obviously the next King of Westeros. If Snow’s name means nothing to you now’s the time to remedy that, with either the repeats of the series currently on TV, or the discounted books in supermarkets. What makes it so different from other fantasy? It’s a story of transition in slow motion, a lucid and fascinating examination of power – how it’s taken, exercised, lost but never snuffed out. Westeros looks damnably like our own world; uncertain and on the brink of something unknown and unnameable; between nature and progress. Martin’s world has raised an ice barrier against strangers who, for their part, aren’t too friendly, and is inhabited by a succession of very believable human characters. Visiting Westeros makes for a wonderful journey. Martin not only creates a geography but also a lexicon for his world torn between rationality and magic. Wonderful and evocative sounds that alone are worth reading. Or watching… or both.